What good is a website if it’s hard to use? Functional designs for both you and your visitors. Let’s make your first-impression be great! Stunning designs that visually demand attention. We don’t settle for less… and we don’t think you should either! When building your website design, our attention to every small detail will give your site the edge it needs in both design and functionality. Our goal is to compliment and even strengthen your Brand’s image! 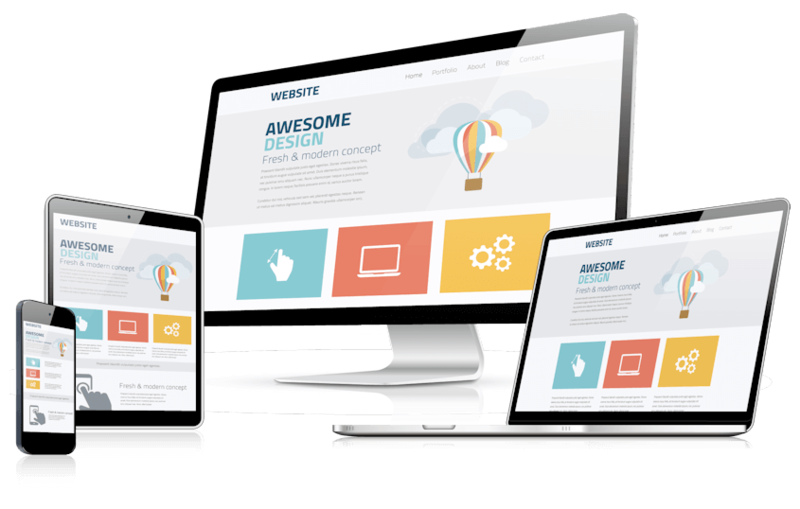 Responsive Website Design means that we will design your website to adapt to any device and still look fantastic. This is a crucial part of any website design now that Google has made mobile-friendly website designs a criteria for search engine ranking. Do you need an online store? From complex layouts to simple product stores, we got you covered. Whether you’re a small organization on a tight budget or a large corporation with a massive project, we’re ready to assist. We have amazing website designs that are perfect for start-ups and/or custom quotes for any sized project. Whether you are a big company, a small mom-and-pop busniess or an individual with a personal project; each and every project is personal to us and your satisfaction is our priority.